Artery is a start-up that believes every space is a stage. Artery’s digital platform connects performers, spaces, and audiences, from all walks of life, to bring pop-up performances to life in places you may not expect. Think of an opera in a backyard, a poetry reading in a laundromat, or an author talk in your living room. In the wake of political events in the US in the first half of 2017, some members of the community on Artery organically formed a response through art to support civil rights vis-à-vis the 14th Amendment of the US Constitution – which recognizes equal protection for all people under the law. 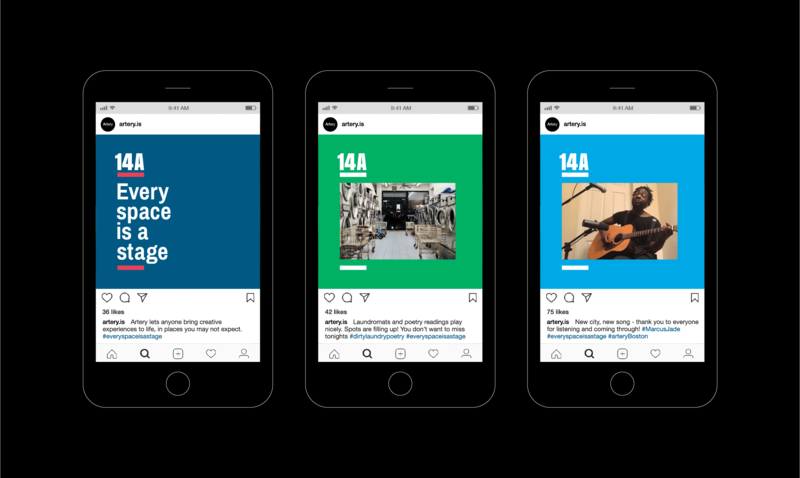 To encourage this growing movement of artistic grassroots showcases created by users in support of equal protection for all, Artery created a campaign called 14A – a reference to the 14th Amendment. Showcases under the umbrella of 14A addressed issues around equality, with proceeds going to organizations who are working on the frontlines of civil rights. Inspired by the Artery community, we designed a flexible toolkit of graphics to unite all 14A performances through a collective visual system. The 14A identity nods to the American flag while urgently signalling equality. In applications, the equals sign (=) opens up and becomes a stage to present powerful statements and images. We provided a series of templates for showcase organizers to customize with their own promotional content for print and social media, choosing colours from a vibrant palette that reflects the diversity of the 14A community and its breadth of creative experiences. The Artery and 14A brands step back in order to emphasize the words and images of each unique performance. 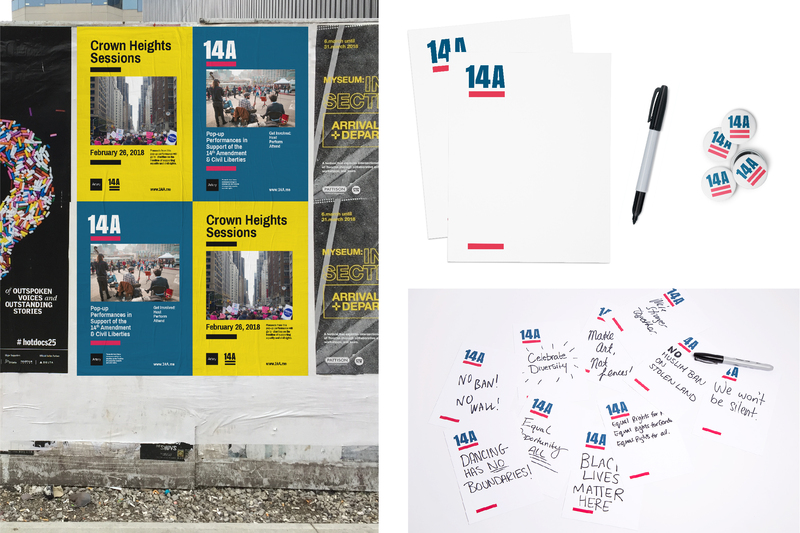 The 14A campaign offered the Artery community a toolkit to boldly raise their voices, promote inclusion through art, and rally around equal rights for all.